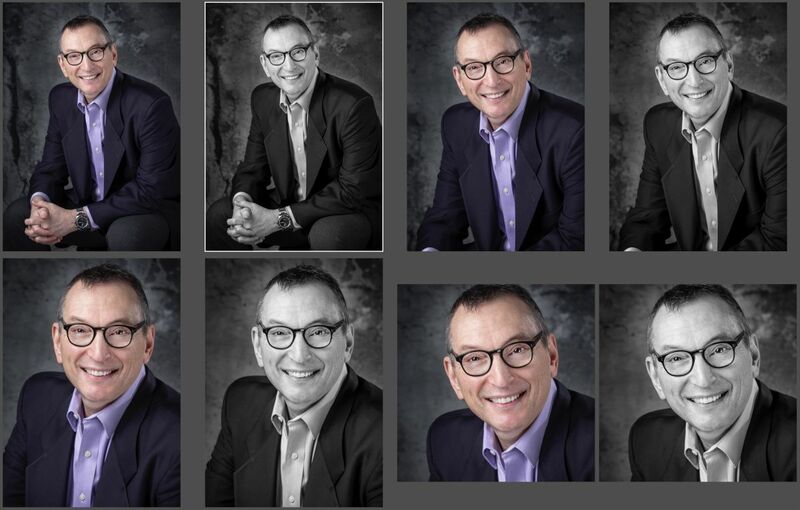 My corporate headshot sessions are typically done at Esto-Image, my Milton studio (where I am in full control of professional lighting, backgrounds, etc.). The fee is ordinarily $175 per person, which includes one fully retouched, rights-free headshot, cropped in different ways, in both BW and colour (in both print resolution and web resolution). Additional business portraits can always be purchased at a very reasonable $40/ file, fully retouched. There's no fine print.... No up-sell tactics. The headshot session is painless and takes an average of 30-45 minutes (depending on how much we chat). I will put you at ease and have a proven system that allows us to cooperatively narrow it all down to that one professional headshot that will make all the difference! Also, if you have a team of people who would like business headshots that are homogenous in style, contact me to discuss your options.